The University of Pennsylvania, School of Veterinary Medicine seeks a distinguished academic leader for the position of CHAIR of the DEPARTMENT OF CLINICAL STUDIES AT NEW BOLTON CENTER. Appointment will be at the level of FULL PROFESSOR in the Standing Faculty. The Department of Clinical Studies, New Bolton Center (CS-NBC) is located on the beautiful 687 acre New Bolton Campus in Kennett Square, Chester County, Pennsylvania. This campus includes the Widener Hospital for Large Animals, Field Services, Center for Animal Health and Productivity (CAHP), Pennsylvania Animal Diagnostic Laboratory System (PADLS), Swine Teaching and Research Center, Marshak Dairy Center, Hofmann Center for Reproductive Studies, Poultry and Myrin Research buildings, among others. The NBC campus is located within one of the world’s most dense livestock and equine regions. CS-NBC is the academic and professional hub for over 42 of the 166 faculty at Penn Vet, https://www.vet.upenn.edu/research/academic-departments/clinical-studies-new-bolton-center. We are seeking a visionary and dynamic leader to head this diverse department that has missions involving specialty and ambulatory clinical services, education/training, and clinical/basic research ranging from regenerative medicine to gene therapy, laminitis, reproduction, nutrition, orthopedics, emergency and critical care, robotic imaging, toxicology, neurology, equine drug testing and pharmacology, anesthesia methods, sustainable agriculture, animal welfare, infectious disease and epidemiology among other areas. The Chair is expected to foster scholarship and innovation, integration of clinical and research missions, and provide leadership on faculty appointments, development, and promotions. At NBC, the Chair, reporting to the Dean, will work closely together with the Hospital Director and the Associate Dean of Agricultural Sustainability in a team structure to support the faculty, house officers, and students in accomplishing our missions. The Chair will engage leaders across departments in school-wide initiatives and lead the department in all aspects of academic activity. She/he is expected to develop a clear vision and serve as strategic leader and advocate of CS-NBC. It is also important that the Chair of CS-NBC works closely with leaders across the food animal and equine agricultural spheres to maximize resources and opportunities for synergies, and to assist in efforts to communicate our agriculture-related activities to external stakeholders. He/she will participate in fund raising activities, and is also encouraged to pursue personal goals in scholarship in addition to the role as department leader. Preference will be given to applicants holding a VMD/DVM degree or equivalent together with a research degree (PhD, DVSc, or equivalent). A proven track record of successfully obtaining competitive external research funding is highly desirable. Questions about the position may be directed to Dr. David Galligan, Chair of the Search Committee (Galligan@vet.upenn.edu), or Ms. Jackie Miller (jrm292@vet.upenn.edu) at the Dean’s Office for any administrative or other questions. Review of applications will begin on March 1, 2018; applications will be considered on a rolling basis until the position is filled. Job Categories: Full-Time. Job Types: Faculty. 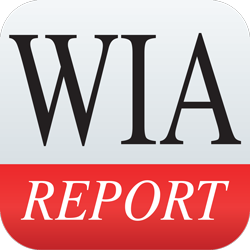 Women in Academia Report monitors and reports trends concerning women in all areas of higher education, discusses important issues of gender equity, reports instances of gender discrimination, and identifies the leaders and laggards among colleges and universities in creating greater opportunities for women.